HARBOUR CITY is opening soon at Island City Mall. Experience Hong Kong dining at one of the country’s more popular dimsum restaurants, Harbour City, which is set to open this year at the lower ground level of Island City Mall. Harbour City which traces its roots to Cebu City opened its first branch in 1993 drawing Chinese cuisine aficionados and casual diners alike, and gaining a strong following even from neighbor provinces like Bohol. Today, the decades-old brand endeavors to take their dishes across to Bohol to cater to the province’s ever-growing food market. Harbour City has a wide array of dimsum treats including quick-served dishes, ideal for those caught up in the city’s hustle and bustle. Its best sellers are the Steamed Fried Rice, a perfect combination of savory pork and shrimp toppings over seasoned fried rice; shaomai varieties like Shaomai and Quail Egg Shaomai, with each bite full of chunky pork and shrimp pieces; and Spring Rolls and Garlic Pork Spare Ribs. For noodles, don’t miss to taste their Beef Sate Noodles or Lomi. Harbour City is also geared up for the very competitive, wide and diverse market. 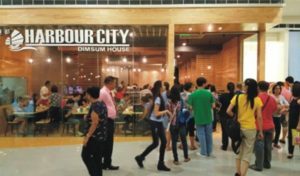 What’s unique about Harbour City is their menu, which has authentic, traditional recipes that are homegrown. The restaurant is also known for using all natural ingredients for their dishes.